2018 almost had a major oilsands deal of its own – that is, before Husky Energy’s attempted US$4.9 billion takeover of MEG Energy was terminated last week. Husky decided that it would not extend the offer that expired Wednesday without receiving the necessary two-thirds support. 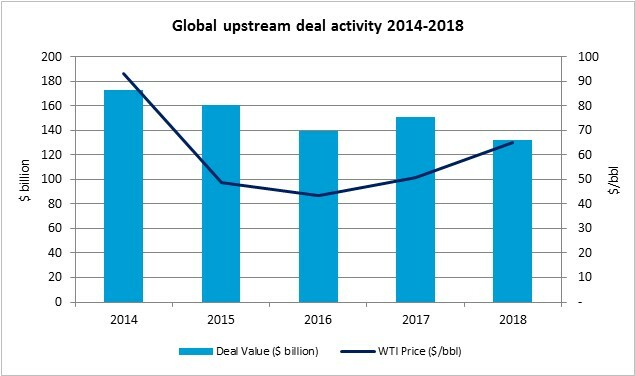 “Husky’s share price rose immediately after this announcement by 13%, which arguably shows that Husky’s shareholders were not enamoured with a deal taking place in the current pricing environment,” said Eoin Coyne, Evaluate Energy’s senior M&A analyst and author of the Evaluate Energy 2018 review. According to data available in the Daily Oil Bulletin’s latest guidance report, Painted Pony Energy Ltd. is set to cut its capital spending this year by a greater margin than any other North American natural gas-focused producer (see note 1). The latest weekly corporate guidance review from the DOB can be accessed at this link. 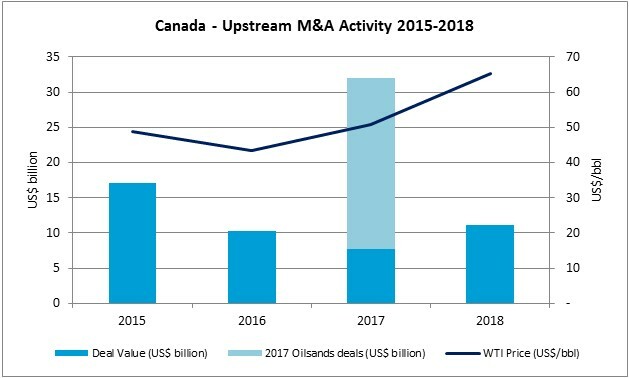 This week’s edition includes data for 67 Canadian- and U.S.-based upstream companies, along with a detailed look at recent guidance announcements from Husky Energy Inc., Baytex Energy Corp. and Whitecap Resources Inc., among others. 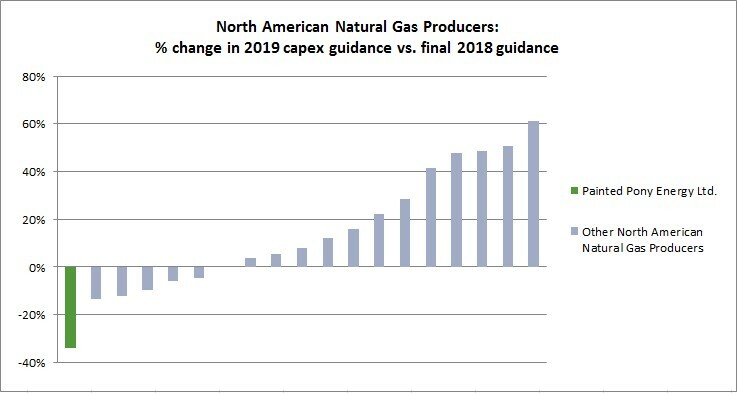 Comparing final guidance for 2018 and latest guidance for 2019, Painted Pony expects its capital expenditures to fall by around 34%, a much greater margin than any of the other 18 natural gas-focused producers to have reported 2019 guidance in North America so far. Cost efficiency and capital discipline is the clear focus for Painted Pony: “Establishing a range of capital spending in 2019 and a commitment to limit spending to match anticipated internally generated adjusted funds flow from operations provides Painted Pony the flexibility to shift capital spending based on changing market prices,” said Pat Ward, president and CEO of Painted Pony. The Daily Oil Bulletin’s weekly guidance report is put together using upstream company guidance data provided by Evaluate Energy. For a demonstration of the Evaluate Energy North American guidance product, click here. Research conducted on a group of energy companies by the U.S. Energy Information Administration (EIA) has shown that free cash flow– the difference between cash from operations and capital expenditure – was $149 billion for the four quarters ending September 30, 2018. This analysis was part of EIA’s Financial Review of the Global Oil and Natural Gas Industry for Q3 2018, a report compiled using financial and operating data supplied by Evaluate Energy. The full list of companies included in the study group can be found in the EIA’s report. 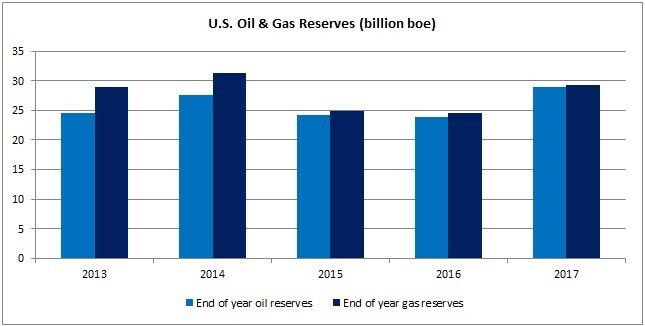 This $149 billion was the largest four-quarter free cash flow sum seen across the entire the five year period between 2014 and 2018 and is a clear continuation of recent trends, as shown in the EIA’s chart below. While the group’s capital spending has slowly increased over the past two years, it has been consistently outstripped by increases in cash from operations. 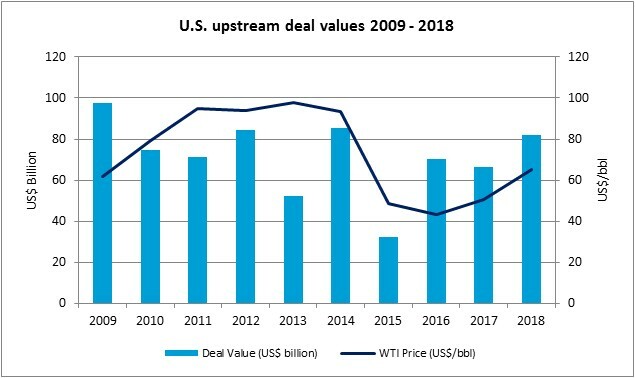 Stronger oil prices in 2018 are the main cause behind the increase in cash generated from operations, but this growth in free cash flow is also caused by a combination of factors that have shifted the group’s focus away from capital spending. Some companies are buying back shares, while some are stockpiling cash and exercising caution when it comes to capital budgets. Other companies are continuing to pay off debt; EIA’s report also shows that it is now eight quarters in a row where debt for the study group was reduced. Q3 2018 data shows that the number of companies with positive free cash flow is also growing. 50% of the EIA’s study group had positive free cash flow in Q3 2018, which has increased from around 35% back in Q1 2018. A closer look at the Evaluate Energy data that was used to build the EIA report shows that it was unsurprisingly the world’s larger companies that had the largest levels of free cash flow. For more on the Evaluate Energy data used to build the EIA’s quarterly review, please request a demonstration of the Evaluate Energy database here. Research conducted by the U.S. Energy Information Administration (EIA) has shown that energy companies have now reduced debt for eight consecutive quarters – or two full years. This sustained debt reduction contributed to Q3 seeing the lowest long-term debt-to-equity ratio (40%) for the group since third-quarter 2014. This analysis was part of EIA’s Financial Review of the Global Oil and Natural Gas Industry for Q3 2018, a report put together using financial and operating data supplied by Evaluate Energy. Of the group that the EIA studied for this quarterly review, a closer look at Evaluate Energy’s data shows that only five companies reduced debt by more than 10% in Q3 2018 compared to Q2 2018. The greatest reductions in debt in pure dollar terms were predictably among the bigger companies of the EIA’s study group. Brazil’s Petrobras reduced gross debt by $3.6 billion between Q2 and Q3 2018, while Russia’s Rosneft, Chevron and PetroChina were close behind with respective reductions of $2.7 billion, $2.4 billion and $2.4 billion. The full EIA report, along with the entire list of companies that were used to create the analysis above, is available to download from the EIA at this link. Click here for a demonstration of the Evaluate Energy database that was used by the EIA to create the report. The U.S. Energy Information Administration (EIA) has released its latest quarterly review of financial performance in the global oil and gas industry, which was compiled using energy company data extracted from Evaluate Energy. Here are five key takeaways from the report, which can be downloaded in full at this link. 1) On the back of significant year-over-year increases in global oil prices, energy companies’ cash from operations in Q3 2018 was $144 billion, a 45% increase from Q3 2017. 2) Energy companies’ free cash flow – the difference between cash from operations and capital expenditure – was $149 billion for the four quarters ending September 30, 2018, the largest four-quarter sum during the five year period between 2014 and 2018. 3) Energy companies have now reduced debt for eight consecutive quarters, contributing to the lowest long-term debt-to-equity ratio since third-quarter 2014. For more on debt reduction, click here. 4) Global liquids production increased 2.7% and natural gas production increased 3.9% year over year in third-quarter 2018. 5) Capital expenditure for the 106 companies in the report hit $80 billion in Q3 2018, which is 11% higher than overall energy company spending in Q3 2017. The full report, along with the list of companies that were used to create the analysis above, is available to download from the EIA at this link. The U.S. Energy Information Administration (EIA) has released its latest quarterly review of financial performance in the global oil and gas industry, which was built using energy company data extracted from Evaluate Energy. 1. On the back of higher oil prices, cash from operations in Q2 2018 was $118 billion, a 27 per cent increase from Q2 2017. 2. Around 40 per cent of the study group recorded positive free cash flow — the difference between cash from operations and capital expenditure — and 78 per cent of the group saw positive upstream earnings in Q2 2018. 3. The companies’ annualized free cash flow was $119 billion for the four quarters ending June 30, 2018, the largest four-quarter sum between 2013 and 2018. 4. The study group has now reduced debt for seven consecutive quarters, contributing to Q2 2018 showing the lowest long-term debt-to-equity ratio since third-quarter 2014. 5. The companies in the study group saw returns on equity increase to nine per cent in Q2 2018, the largest level since third-quarter 2014, while long-term debt-to-equity ratios for the group declined to 41 per cent. Oil and gas companies have cut their debt positions as a group for seven consecutive quarters, according to the latest analysis from the U.S. Energy Information Administration (EIA). This analysis was part of EIA’s Financial Review of the Global Oil and Natural Gas Industry for Q2 2018, a report built using financial and operating data supplied by Evaluate Energy. At greater than 20 per cent, Q2 2018 actually saw the largest overall reduction in debt for the EIA’s group of companies in the study period. Four quarters of the past seven have seen general debt reductions by the combined group of over 10 per cent. This change in general usage of cash and move towards debt repayments has meant the energy companies, as a group, have been relatively less inclined towards capital spending. While Q2 2018 did see a two per cent increase in capital spending compared to the same period last year according to the EIA analysis, the report also shows that operating cash flows (on an annualized basis) have increasingly outstripped capital spending levels since the end of 2016.